IDF Spokesperson's Unit takes down video that appeared to be directed towards Religious Zionist rabbis opposing mixed-gender combat units. The IDF Spokesperson's Unit removed a video it posted that appeared to be attacking Religious Zionist rabbis opposing the military's efforts to expand mixed gender combat units. In a video released in honor of International Women's Day on Thursday titled "The air force’s answer to chauvinism", a montage of female combat soldiers are seen shooting, running an obstacle course, and repairing helicopters. "So they say that women can't do it. They say that women cannot be combat soldiers. They say that we aren't built for it. They say that we don't have the physiological capabilities," says the narrator. After a minute of rehashing stereotypes about women, a female pilot climbs into the cockpit of an F-16 fighter jet. 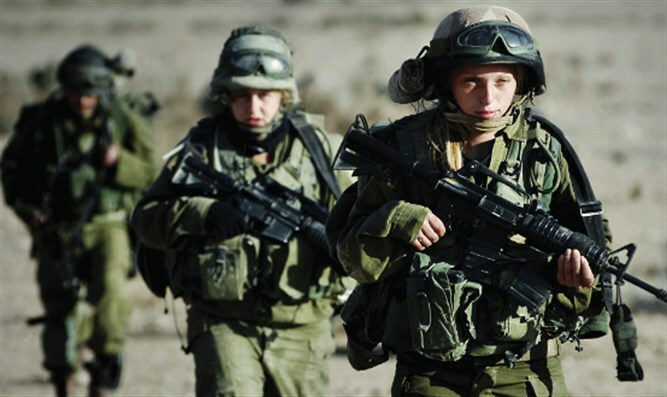 The video aroused criticism from the Religious Zionist community, which alleged that it was targeting rabbis who oppose the IDF's expansion of combat roles for female soldiers. Rabbi Amichai Eliyahu, the son of Tzfat Chief Rabbi Shmuel Eliyahu, condemned the video, asking how the media would react if the IDF Chief Rabbinate released video clips targeting feminism. "The insolence of the IDF Spokesperson's Unit knows no bounds. The IDF Spokesperson's use of taxpayer money to incite against the religious sector demands his immediate dismissal," Rabbi Eliyahu told the Religious Zionist Srugim website. Following the outcry, the IDF opted to take down the video on Friday, leading to a flurry of criticism from left-wing MKs. "What they say to women in combat is what they say to women in politics, and what they say to every successful woman,” MK Tzipi Livni (Zionist Union) tweeted. "It turns out that that it is considered extreme to criticize statements such as, 'a woman needs to stay at home,'" fumed fellow Zionist Union MK Shelly Yechimovich. However, the IDF said that the video was taken down as it had not been released with official approval. "The video in question was produced by media personnel at the Air Force Magazine and is not an official product of the IDF Spokesperson’s Office,” said the IDF in a statement. “Without reference to the content of the video, the production was not authorized as required."